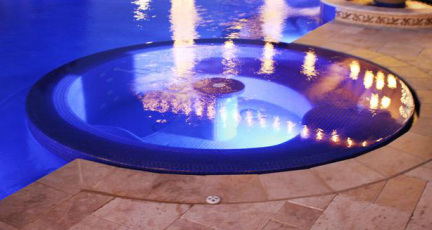 Where pools and spas were once predominantly based on a utilitarian design, they have now noticeably evolve. The new industry concepts offer a dazzling contrast to the conventional building methods, in an effort to transform construction into a form of creating art in the backyard. That results in a fundamental change in the approach to the backyard pool project, from the construction of a functional swimming pool to a comprehensive aquatic environment, a new kind of architectural art form, that is not only safe but also environmentally friendly, creative, revealing and an overall practical and artistically pleasing design. 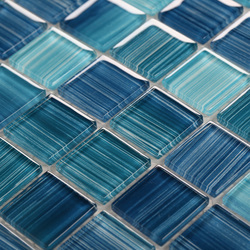 Daring designs, new water schemes and an ever expanding palette of materials and elements, has redefined and expanded the spectrum of creative possibilities, allowing the outcome of projects that inspire all the senses. Clients have begun to look at their backyards as their private resorts, transforming the use of outdoor spaces and all its components. 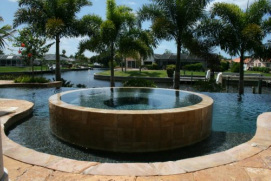 Homes now require functional living outdoor spaces, most of which embrace a body of water in a pool, swimspa or fountain form. These outdoor spaces now provide a place to play, enjoy, cool off from the summer heat, create a flavorful meal on a summer kitchen, and carry late night conversations around a fire pit. 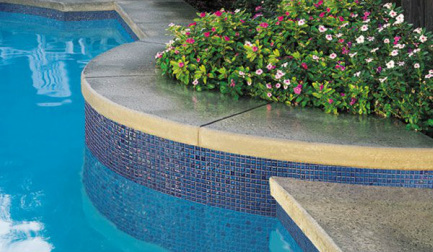 Outdoor spaces are no longer “additions” to our homes, they are an intricate and interactive part of it. We decorate and live with them just like the inside spaces of our home . We have transposed the same decorating principles applied indoors to the outdoors, furnishing and color coordinating, laying out a cohesive space that provides us with joy and relaxation, and a great place to spend time with family and friends. 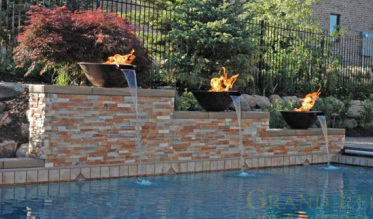 These are some elements that can compliment your outdoor project. For centuries the combination of fire and water has been a magnetic and magnetic one. 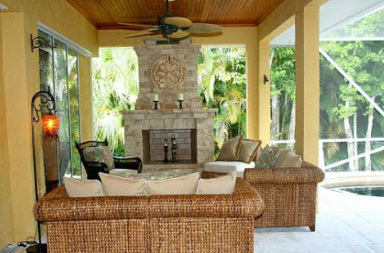 Fire pits and fireplaces invite to create a space of sharing and relaxation, with a cozy feeling, where conversation may go on for hours. 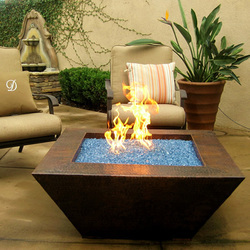 they also provide a very pleasant heat source that is sure to extend the use of the outdoor spaces. t an indisputable focal piece. It can add a very modern touch, or a sense of vintage 60's depending on how it is used. Water in transit takes shape in an endless array of features. 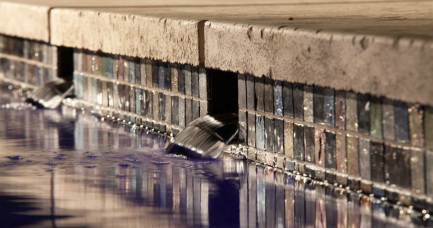 From vanishing edges, to champagne spas that raise from the water level to make a focal point statement, to the ones that quietly overflow on their entire perimeter to blend in with the surrounding pool water, in an almost magic act of disappearing illusion. 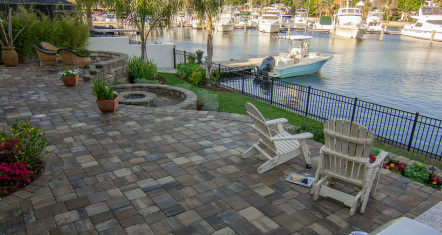 Over size deck paving materials help create the illusion of larger dimensions when dealing with confined spaces. Newer collections that have texture and are cobbled bring to the design the look and feel of recycled materials from older buildings, that creates a very unique sensation. 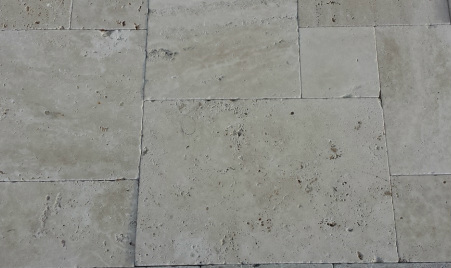 Backyard projects that would be rendered as usual, traditional and standard by the use of regular cement paving stones, benefit drastically in their aesthetically appeal by the use of natural materials like travertine and limestone. Although the use of these materials increases cost, the project becomes a unique jewel that stands out from the normal outcome. 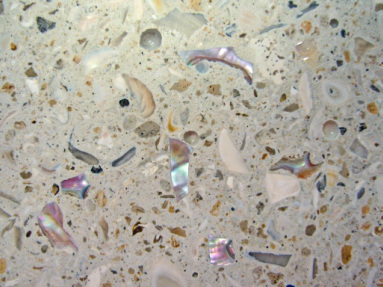 Precast stones combine white cement with natural elements like sea glass and shells to create an entire new spectrum of possibilities. 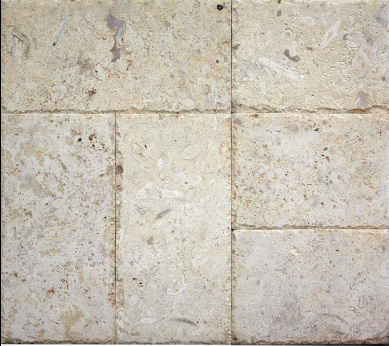 Material choices and selections are only one of the components of your project collage. 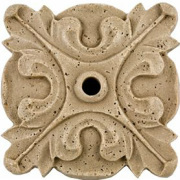 Deck jets, water bubblers, sconces and sheers all contribute to create a pleasant background water sound.